Looking for an extravaganza to help you celebrate New Years Eve? Consider the following destinations in Orlando, Florida. 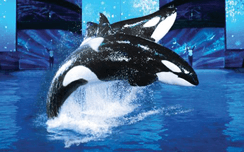 You can choose from top-flight fireworks displays to nightclubs to orca shows as each theme park has something that might interest you to make your decision. The World Showcase, which features exhibits and entertainments from eleven countries, will include dance parties at each pavilion. Each country’s pavilion will shoot off fireworks when the clock in their respective country strikes midnight. This means you can celebrate New Years Eve eleven times. Illuminations: Reflections of Earth will take place at the World Showcase Lagoon. Fireworks, a light-show, and a glowing globe tell Earth’s story. The show will start at 11:40 p.m., and it will be followed by a countdown and special show. You will need to get to a show fifteen minutes before it starts in order to get a good seat. Let’s Party in Orlando this New Year. There will be dance parties at both Tomorrowland and Frontierland on December 30 and 31. Tomorrowland will feature futuristic music, while Frontierland will have country/western dance tunes. The parties will run from 7:00 p.m. to midnight. Fantasy in the Sky Fireworks will also take place on December 30 and 31 at Magic Kingdom Park. The first show will start at 6:30 p.m., and the second will start at 11:50 p.m.
Disney’s Hollywood Studios will also have a fireworks display. While the Studios also had a live band for previous New Year’s Eve celebrations, there is currently no news about whether they will have one this year. You will just have to stay tuned. 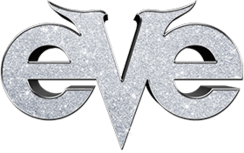 Universal Studios, also known as Universal Orlando Resort or Universal Studios Escape, will be hosting EVE at their CityWalk. It takes place on December 31 and runs from 8 pm to 2 am. You can enjoy lots of gourmet treats, a huge outdoor dance floor, and to dance out your pick of six night clubs. NOTE: You do have to be at least 21 to enjoy this particular celebration. Animal Kingdom has no special events planned. That makes it an ideal park to visit if you have small children and/or simply want to avoid the crowds at the parks with New Year’s celebrations. Check out more holiday happenings around Orlando.